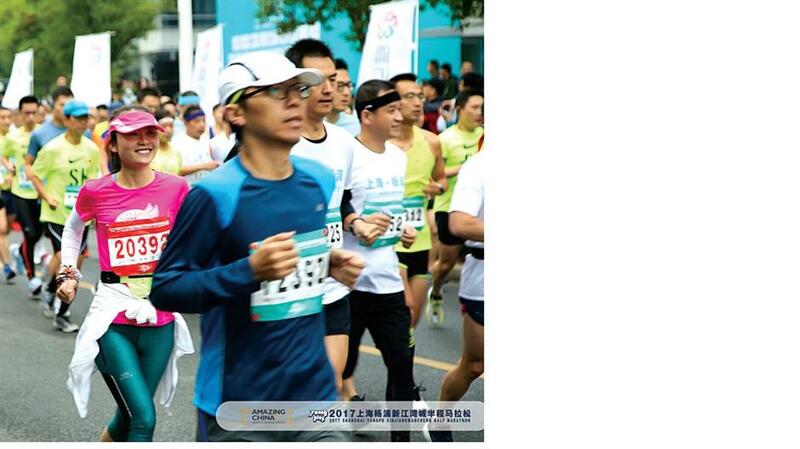 More than 2,100 runners joined the half marathon in Yangpu District earlier this month. Runners open their legs at the starting point of the 2017 Shanghai Yangpu Xinjiangwancheng Half Marathon on November 5. More than 2,100 runners, who joined the half marathon in Yangpu District earlier this month, enjoyed a 70-year-old natural wetland, an amusement park named after Danish author Hans Christian Andersen, a science park and the campus of the prestigious Fudan University along the jogging route. 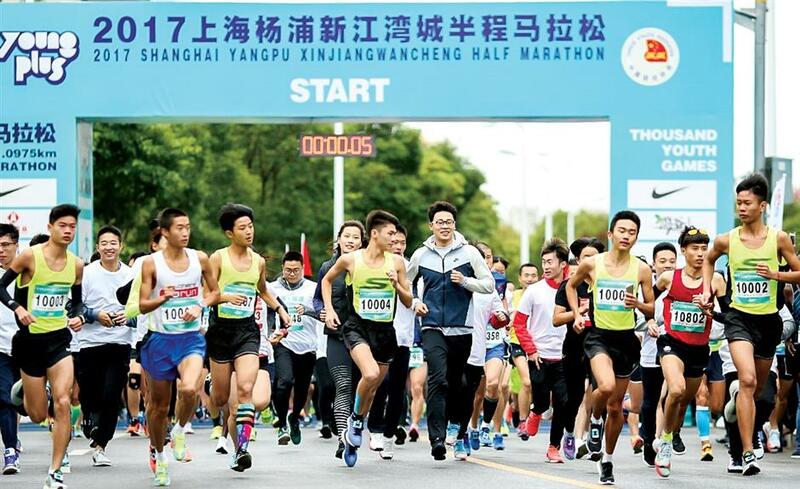 It was the first half marathon held in Yangpu and followed the northeastern district of Shanghai’s success in hosting an 8-kilometer run and a 10km race in the past two years. The Xinjiangwancheng Half Marathon has been recognized as a Class A event, by the Chinese Athletic Association, and will be held every year from now on. Reuben Kiplangat from Nairobi, Kenya, was the men’s champion after crossing the finish line at the Jiangwan campus of Fudan University in 1 hour, 8 minutes and 2 seconds. Li Zhixuan, from Shanghai University of Sport, won the women’s race, clocking in at 1 hour 17 minutes and 29 seconds. The race, on November 5, also included a health run of 3.5 kilometers, which attracted over 1,700 players. The half marathon attracts 2,100 runners. Starting from The Springs, at 99 Jiangwancheng Road, at 7am, runners passed through the natural wetland in New Jiangwan Town, which is the only one of its kind in downtown Shanghai. The green corridor that extends 2.7 kilometers is home to a wide variety of wildlife. Unlike other public green spaces, the flora of the special park is not planted or maintained according to any manmade design. There are over 300 plants and small animals residing in the park, including squirrels, hedgehogs and yellow weasels. More than 30 kinds of migratory birds and 11 types of resident birds have been spotted in the area. The well-designed route also features a community, a science park and the campus of a university, which represent the three pillars of innovation and entrepreneurship in Yangpu. There were more than 200 medics among the runners, who finished the full distance of 21.0975 kilometers. They worked together with their colleagues who rode bicycles or stood by in 10 ambulances to ensure all the runners safe and healthy. Fortunately, there was no accident or incident during the race. Meanwhile, volunteers wearing plastic bottles also took part in the race to raise public awareness about caring about the environment. An average of more than 100 million plastic bottles is produced as garbage as a result of each marathon held around the world.